Are you ready to embrace the fall? Why not spend the day outside and enjoy a few fall activities including pumpkin picking, hayrides, obstacle courses, arts and crafts, face painting and more. 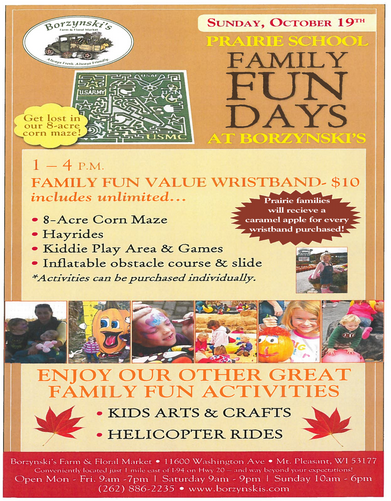 The entire Prairie School community is invited to participate in Family Fun Day at Borzynkski’s Farm and Floral Market!